Cadillac has been a sought-after vehicle in the Baltimore area for years, and drivers appreciate the value these models hold. Because of this, a used Cadillac model is a great choice for drivers interested in a sophisticated and timeless style at an affordable price point. So no matter your budget, you’ll be able to appreciate driving through Arnold in style. 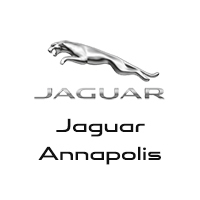 Jaguar Annapolis has been providing Arnold drivers with luxury vehicles for years, both new and used. At our dealership, we get to know our customers and what you’re looking for, and we find the vehicle that best complements both. For many drivers, this results in taking home a used Cadillac, from the spacious SUVs down to the stylish sedans. When you want to be treated well and have access to a used vehicle that makes sense for your specific needs, be sure to visit Jaguar Annapolis. We have a large selection of both used vehicles and new models to choose from, so take your time to find exactly what you want.